Welcome to SacramentoBankruptcyLawyer.us. This site will discuss bankruptcy issues encountered by California debtors. 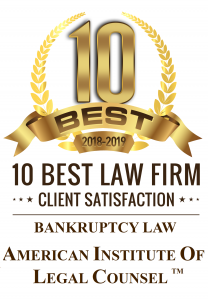 Many people filing for bankruptcy have questions like “will my car be sold in chapter 7 bankruptcy” or “what happens at the meeting of creditors.” This site and series of blog posts will address some of these common questions and explore other issues in bankruptcy law. Will my car be sold in chapter 7 bankruptcy? It depends on several factors. If your car has equity in excess of your exemption amount, then your car may be sold in chapter 7 bankruptcy. For instance, if the remaining amount of your wildcard exemption only allows you to exempt $5,000 of your car which your own free and clear, and which has a fair market value of $10,000, then your car may be sold in chapter 7 bankruptcy. You will receive the $5,000 that you were able to exempt, but the rest will go to your creditors. On the other hand, if you are able to exempt 100% of the fair market value of your car which you own free and clear, then you will be able to keep your car in bankruptcy.